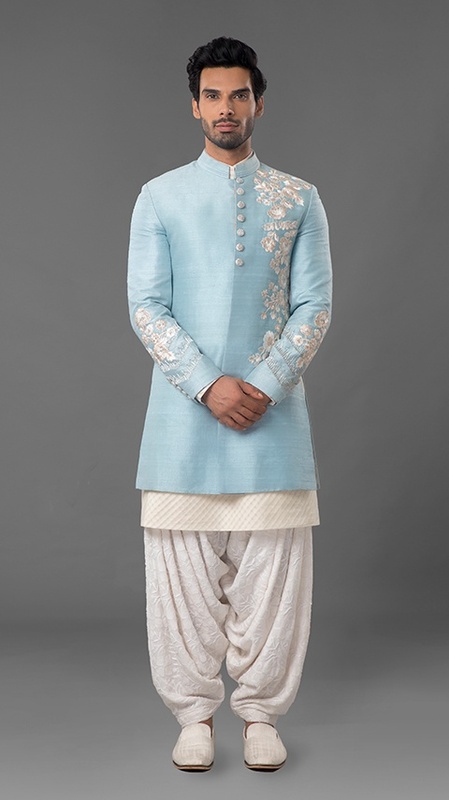 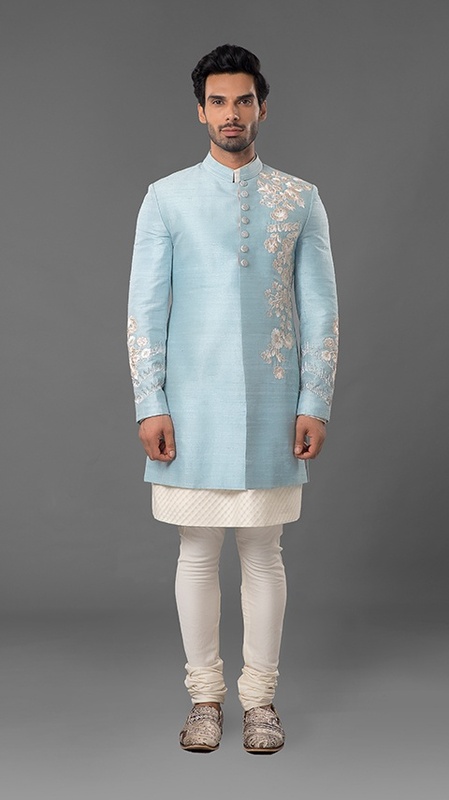 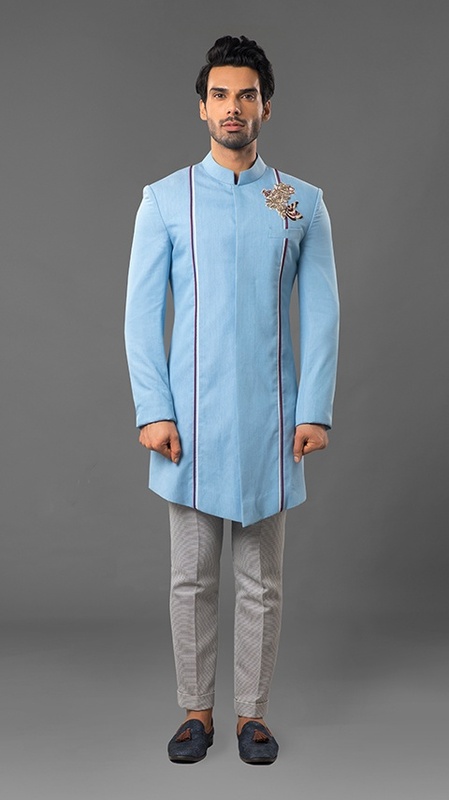 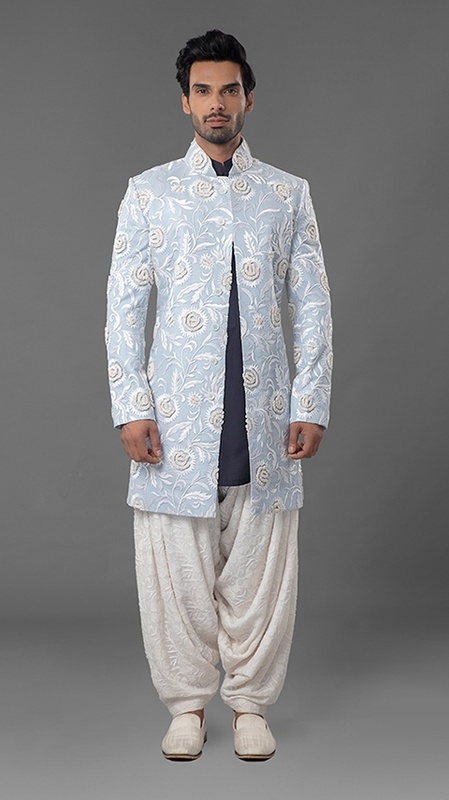 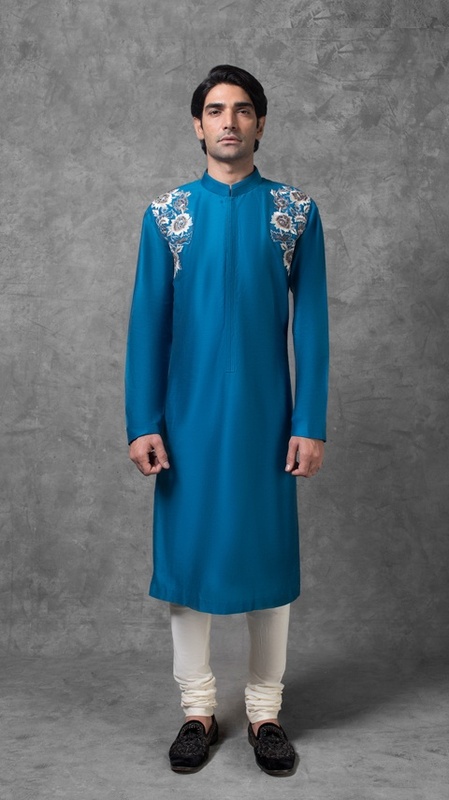 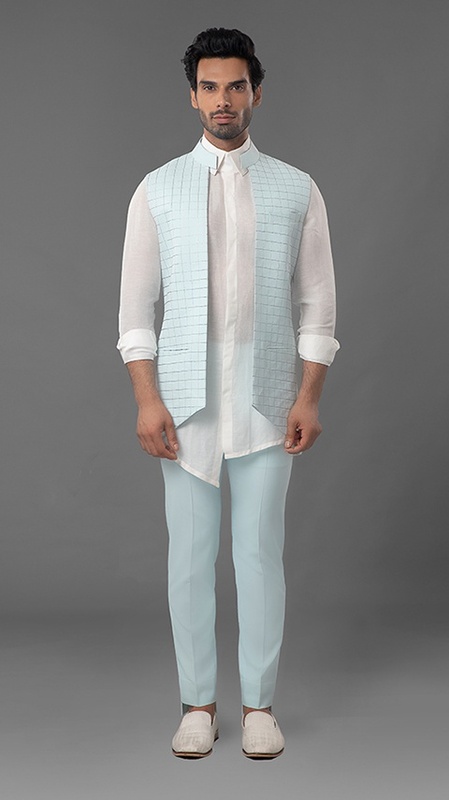 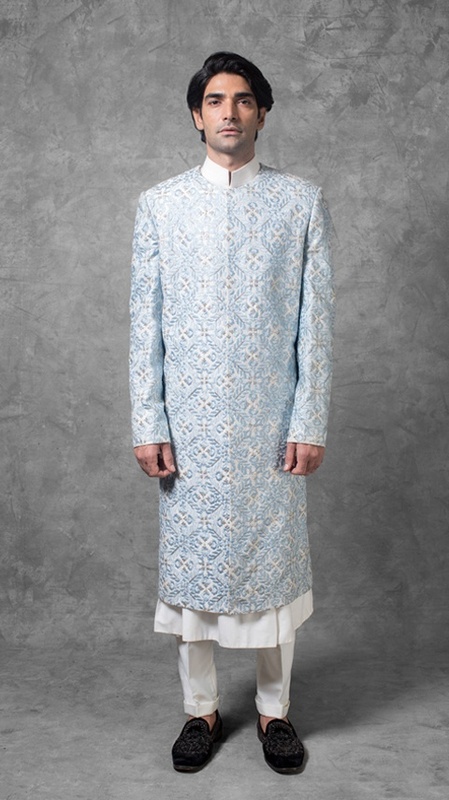 Powder Blue embroidered Sherwani ..
Black Textured Sherwani with embr..
Baby Blue, Silver checked Vest wi..
Baby Blue embroidered Sherwani wi..
Raven Black Shirt with Ivory Pipi..
Ivory Raw Silk Sherwani with Self..
Pearl White Raw Silk embroidered ..
Silver Grey Raw Silk embroidered ..
Ivory Raw Silk embroidered Sherwa..
Coral Raw Silk Sherwani with Ivor..
Ivory Raw Silk Sherwani with Gold..
White Textured long Jacket with B..
Ivory embroidered Sherwani with T..
Ivory Textured Jacket with Blush ..
Powder Pink Raw Silk embroidered ..
Powder Blue Raw Silk embroidered .. 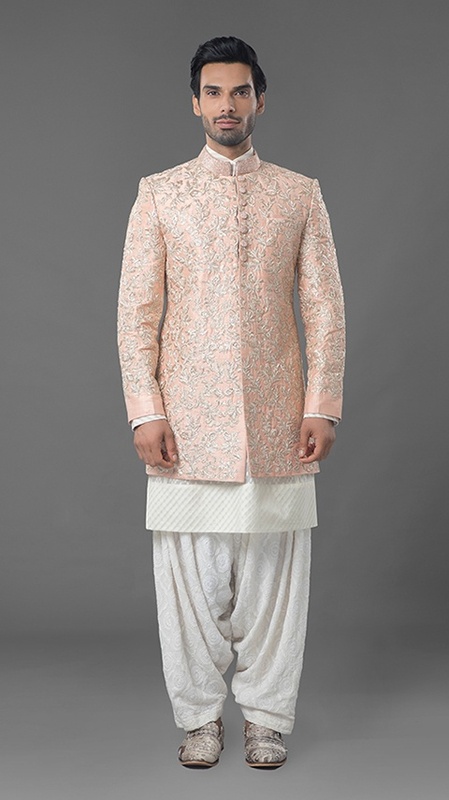 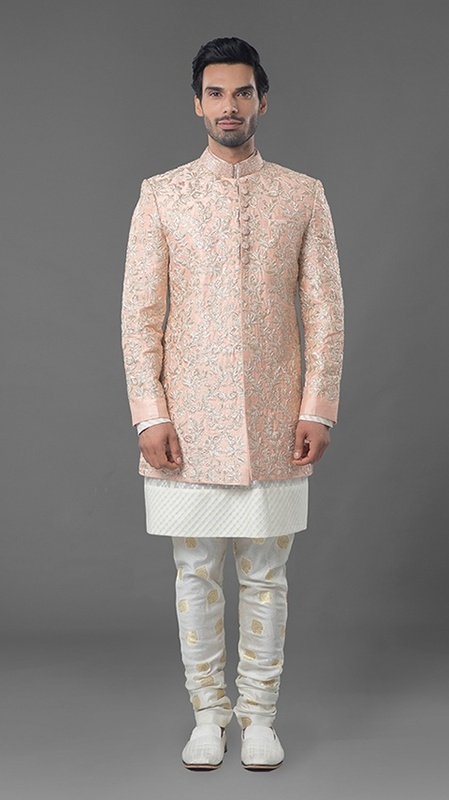 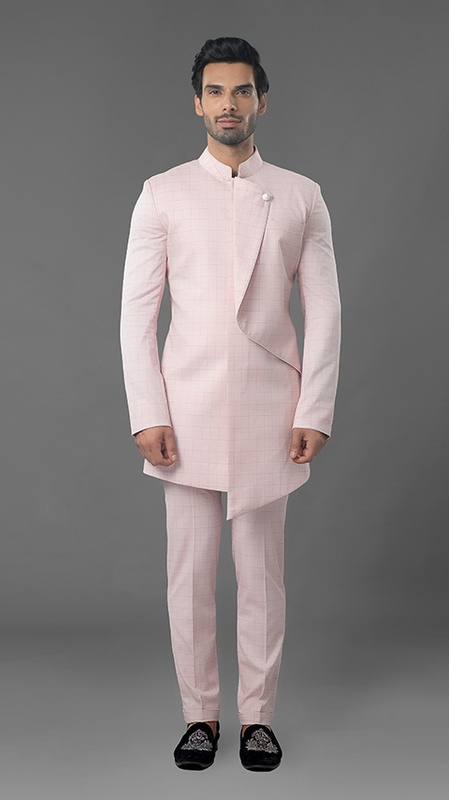 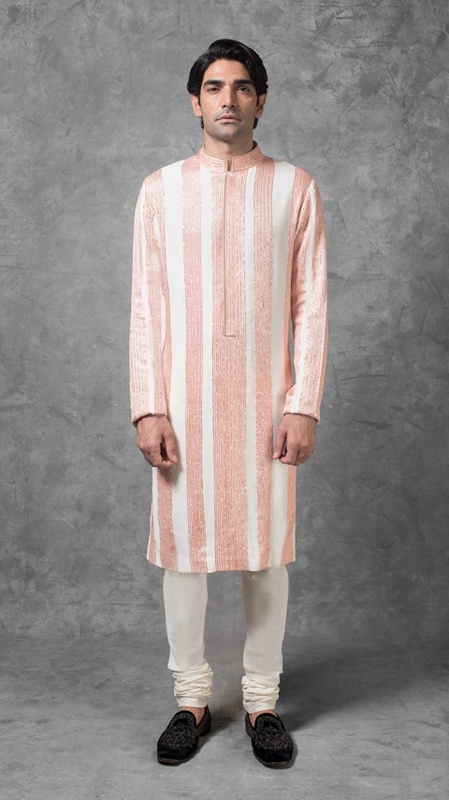 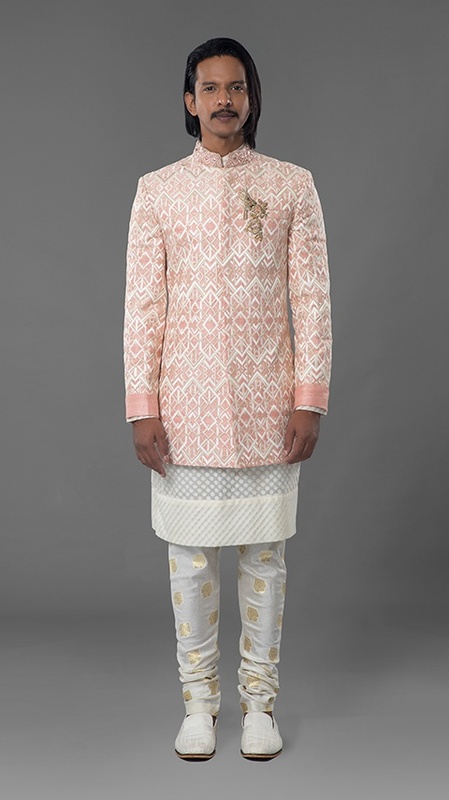 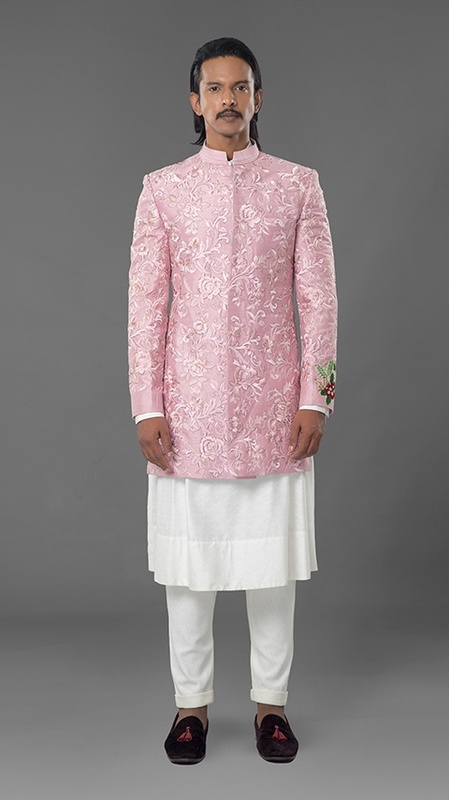 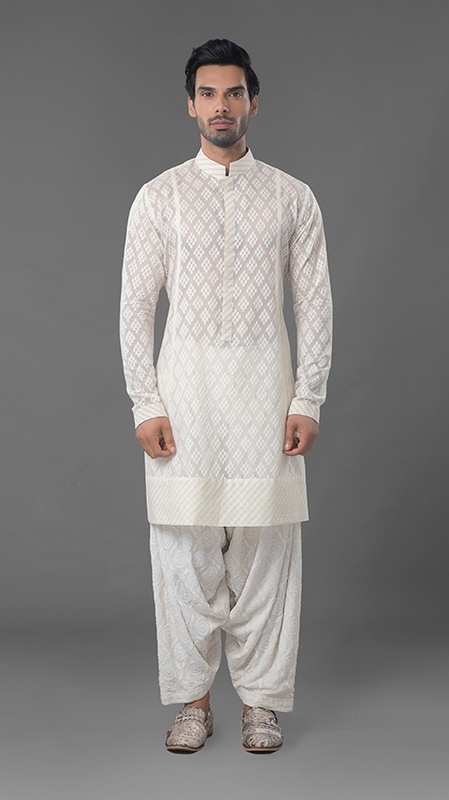 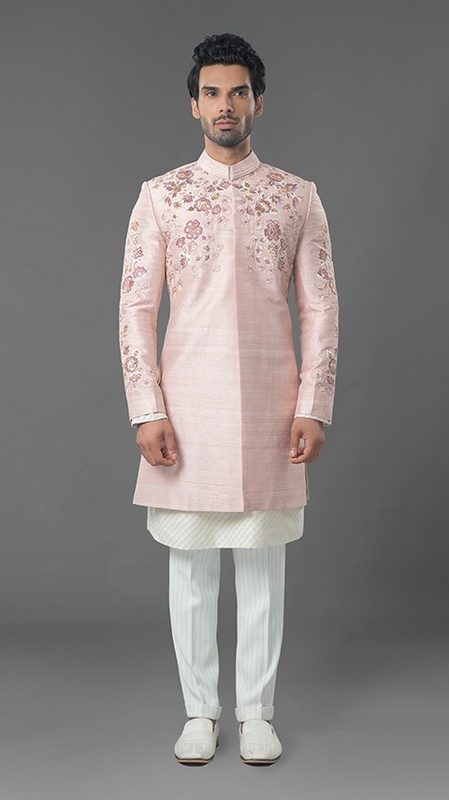 Pink Peach Raw Silk Sherwani with..
Rouge Raw Silk Sherwani with Self..
Ivory Raw Silk Sherwani with Silv..
Black Textured Sherwani with Mult..
Ivory Chanderi Kurta with Chikank..
Berry Red Kurta Set with a Black ..
Black Kurta with Ivory Resham wor..
Pine Green Kurta Set with Ivory T..
Black Shirt with embroidery on Yo..
Space Blue Shirt with Contrast Yo..
Maroon Kurta with Black Threadwor..
Ivory Spun Silk Kurta with Resham..
Electric Blue Spun Silk Kurta wit..
Maroon Sherwani with Embroidered ..
Prussian Blue Kurta Set with Stit..
Ivory Kurta set with a Black Thro..
Emerald Green Sherwani with Threa..
Charcoal Black Printed Velvet Jac.. 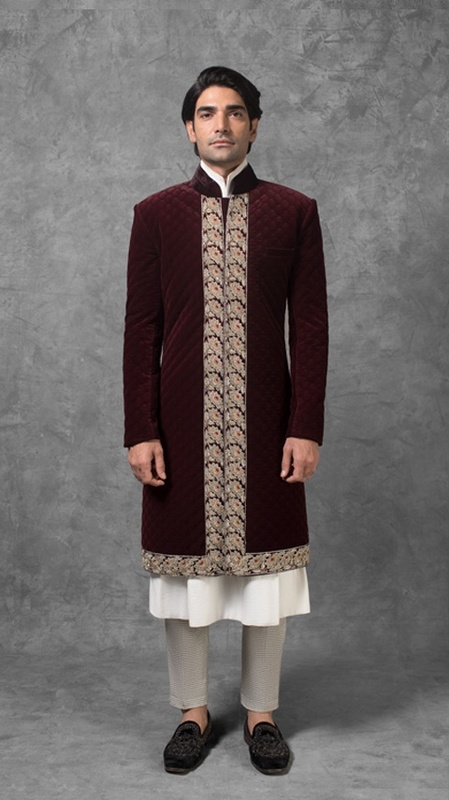 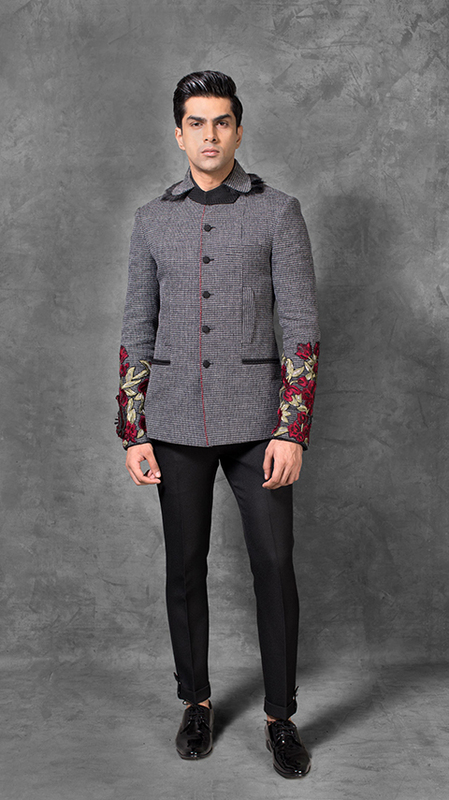 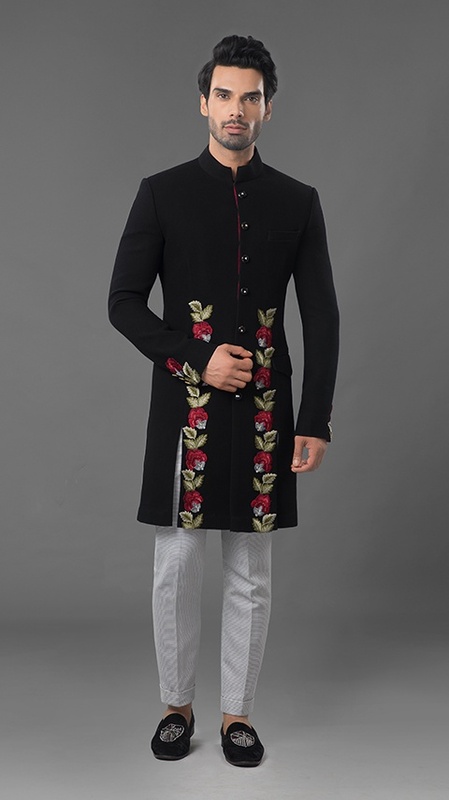 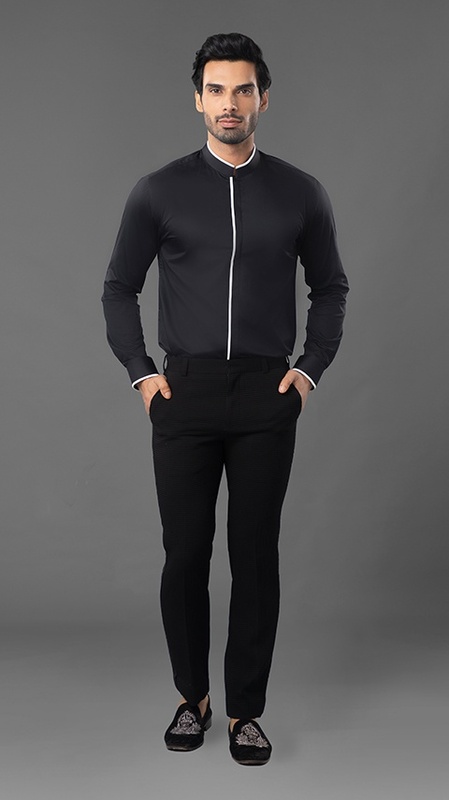 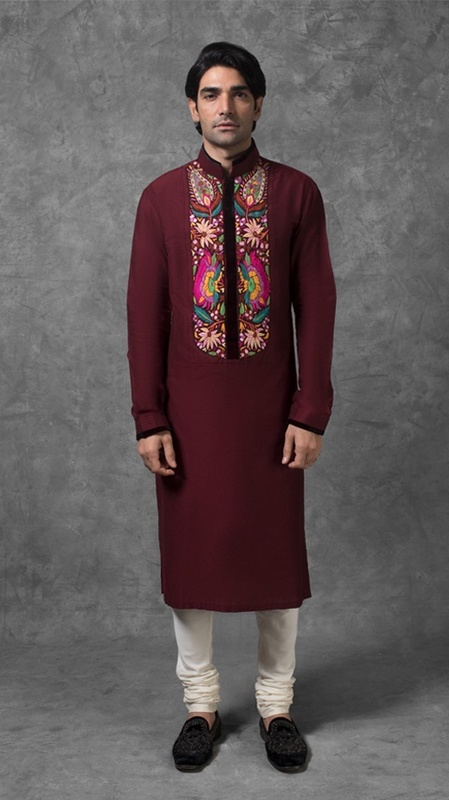 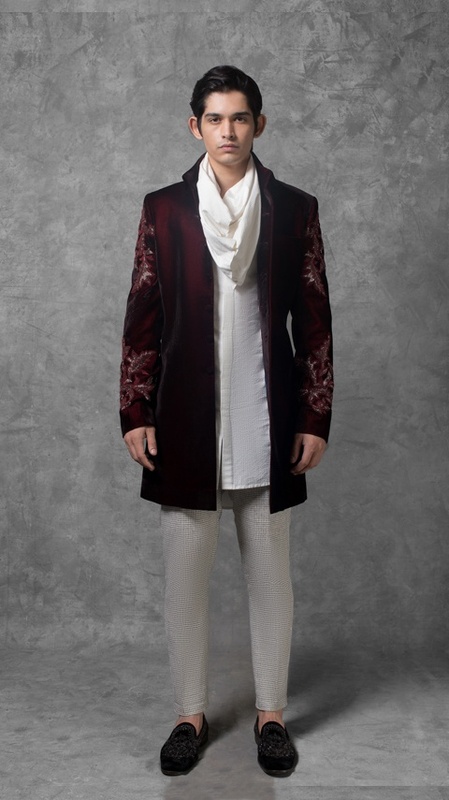 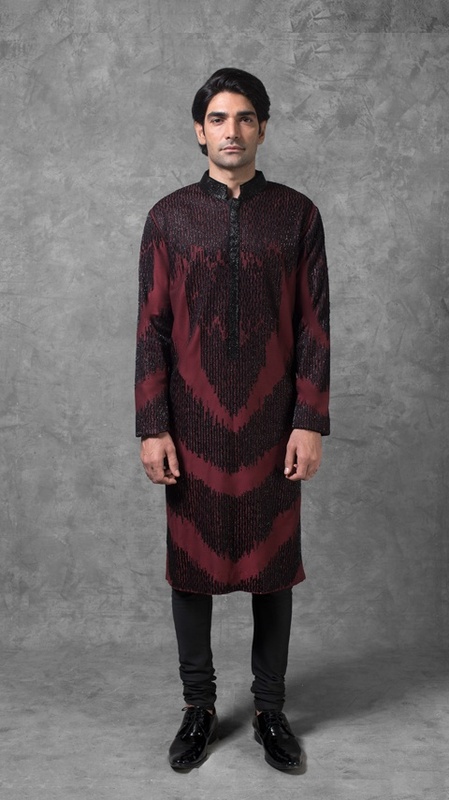 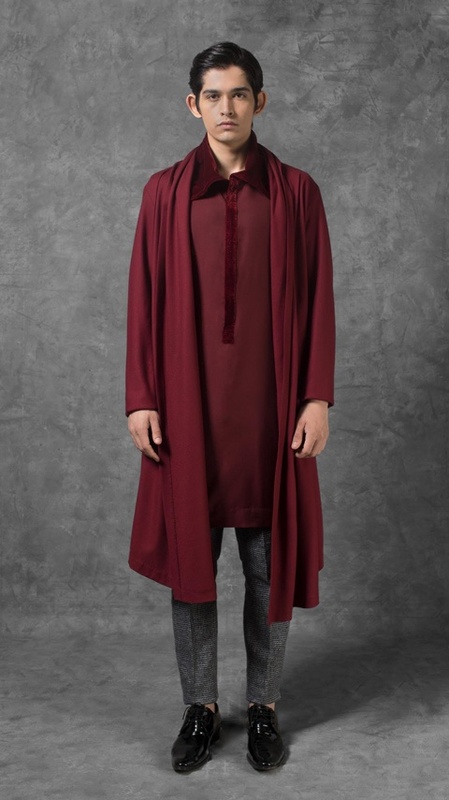 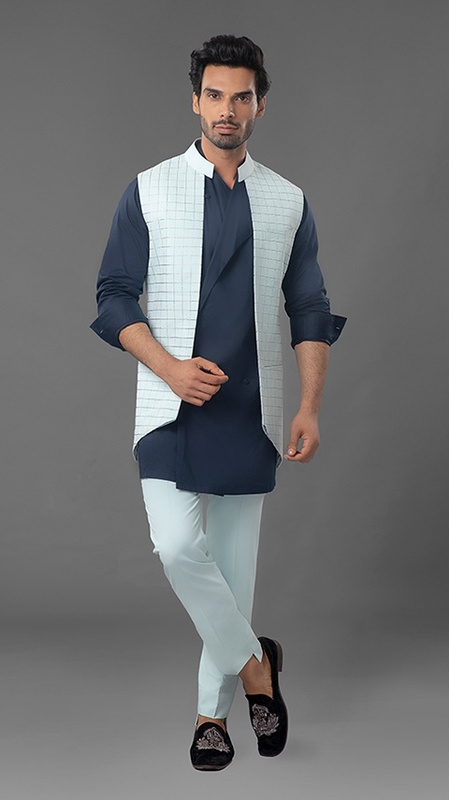 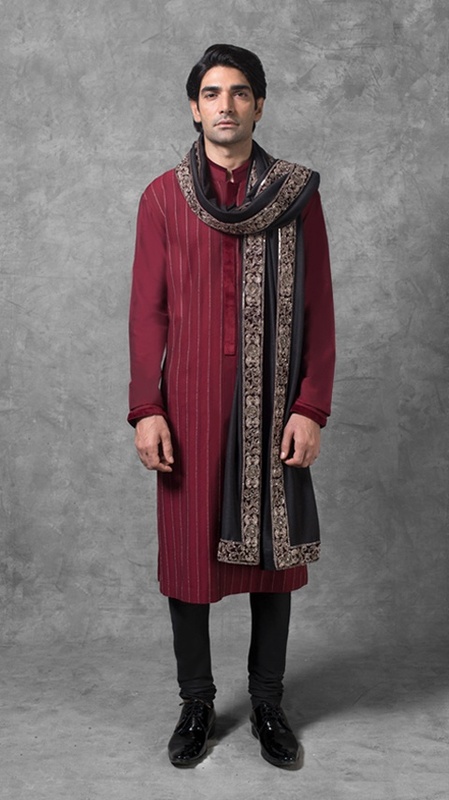 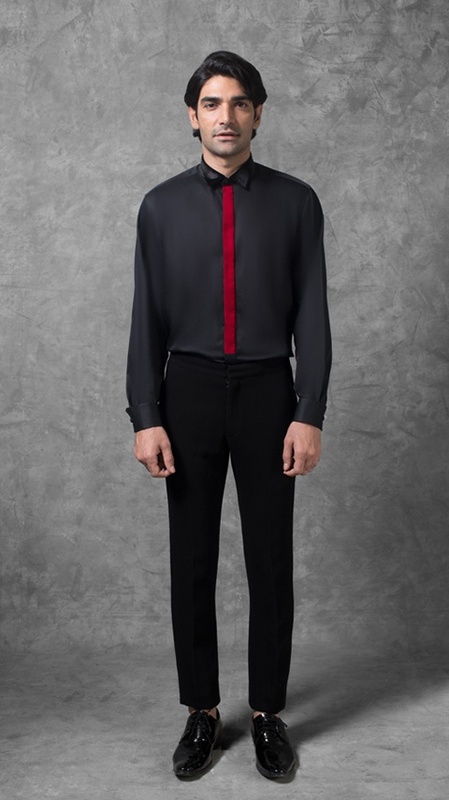 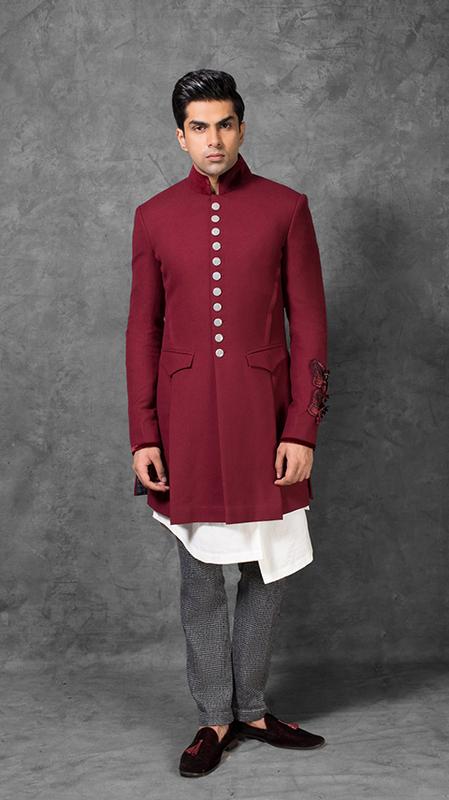 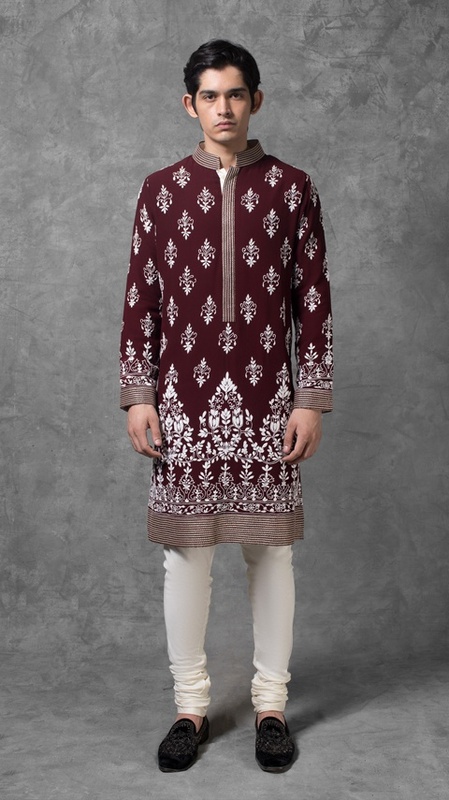 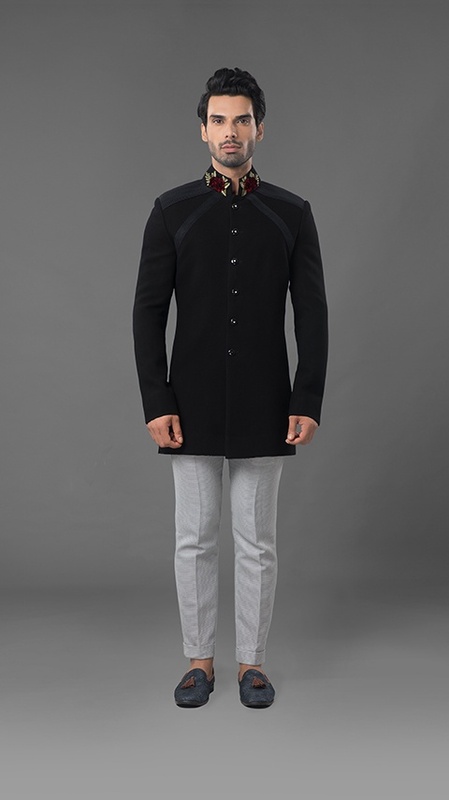 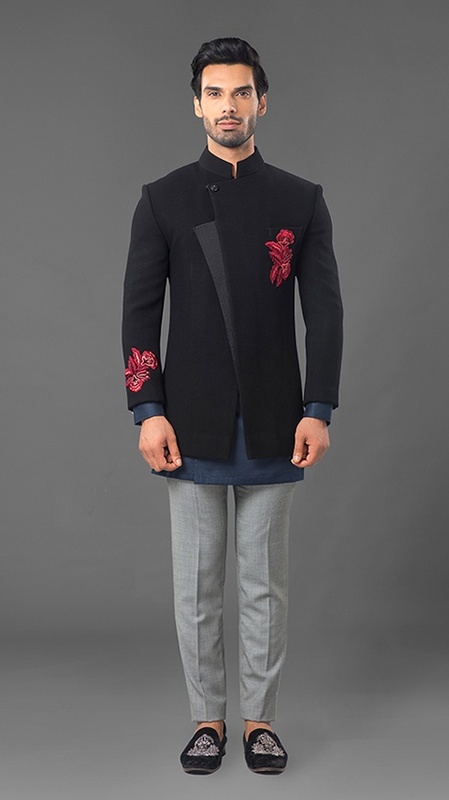 Midnight Black Jacket with a Wide..
Black Jacket with a Deep Black La..
Space Blue Kurta Set with Kashmir..
Wine Red Kurta Set with Ivory Chi..
Garnet Red Kurta with Floral Kash.. 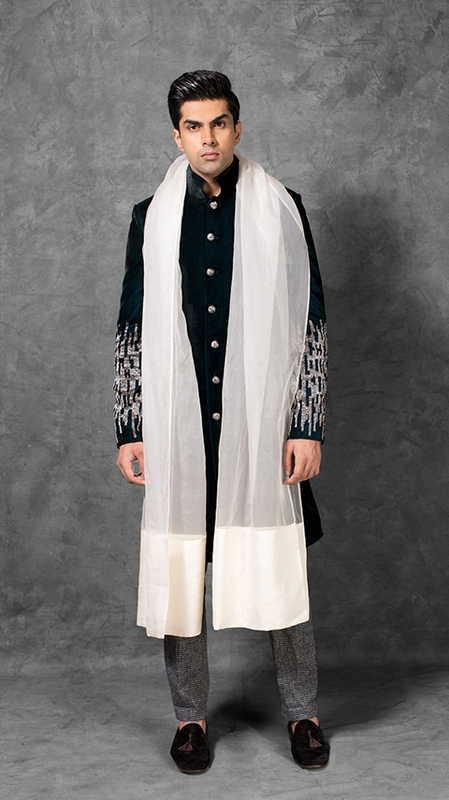 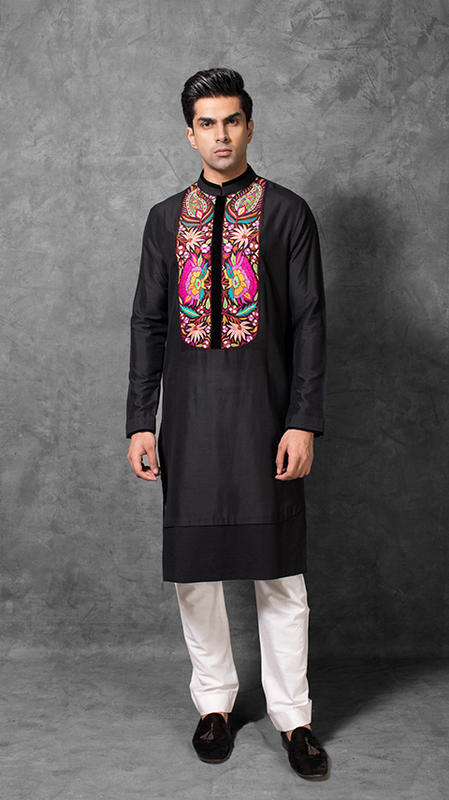 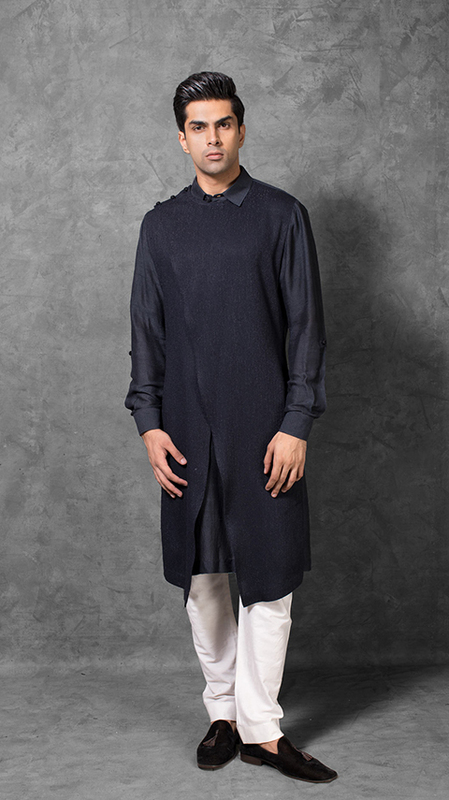 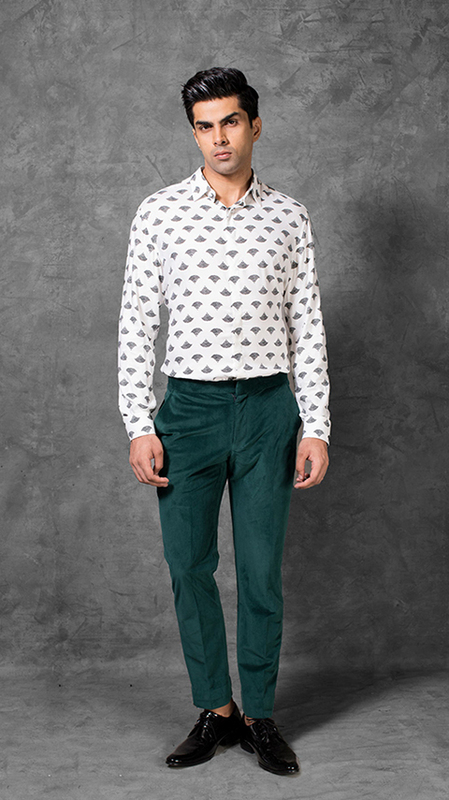 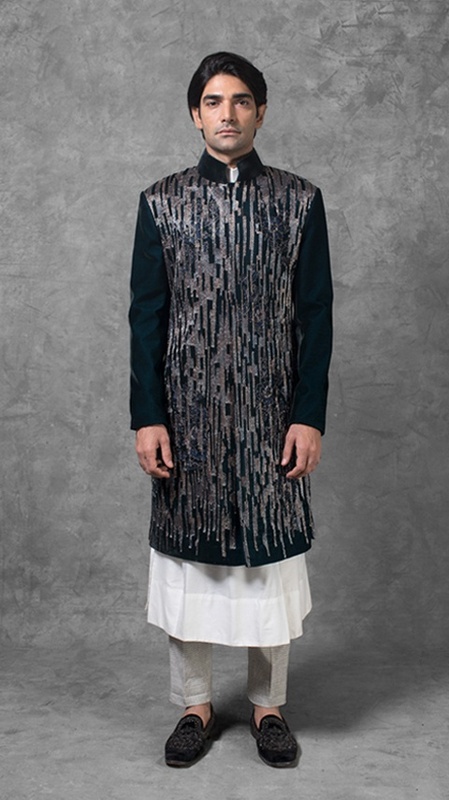 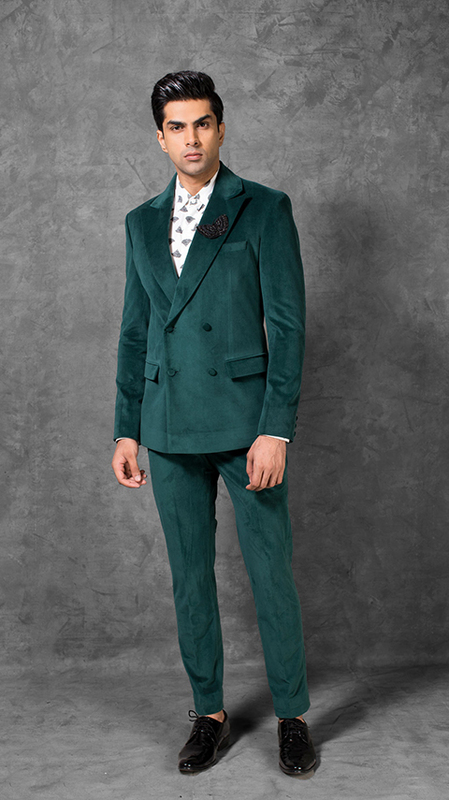 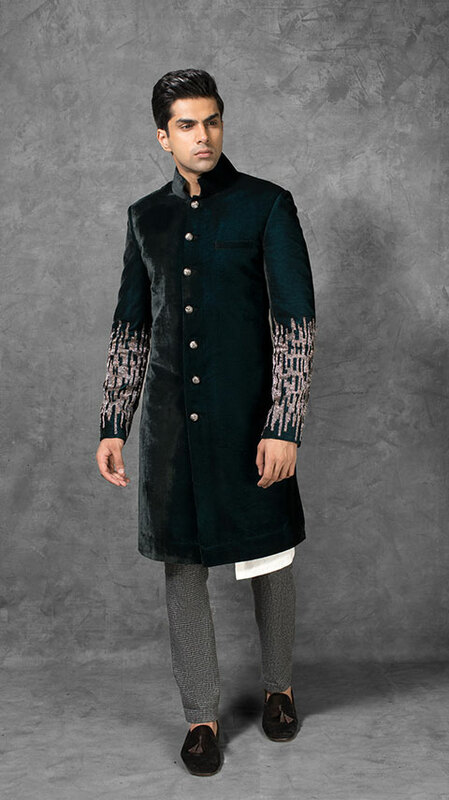 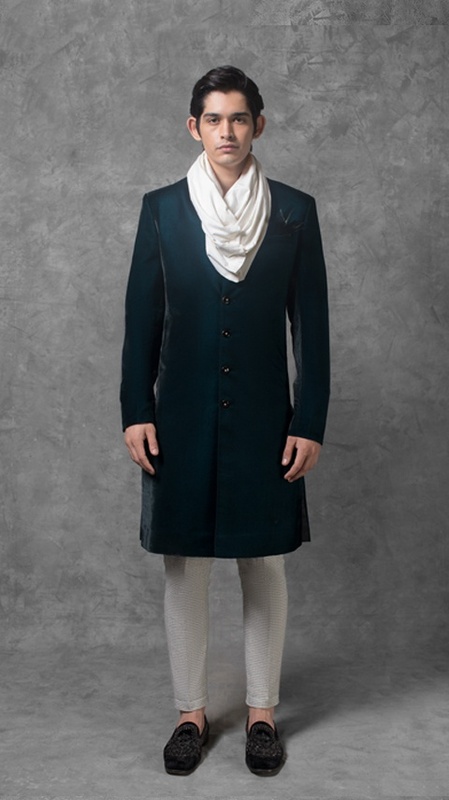 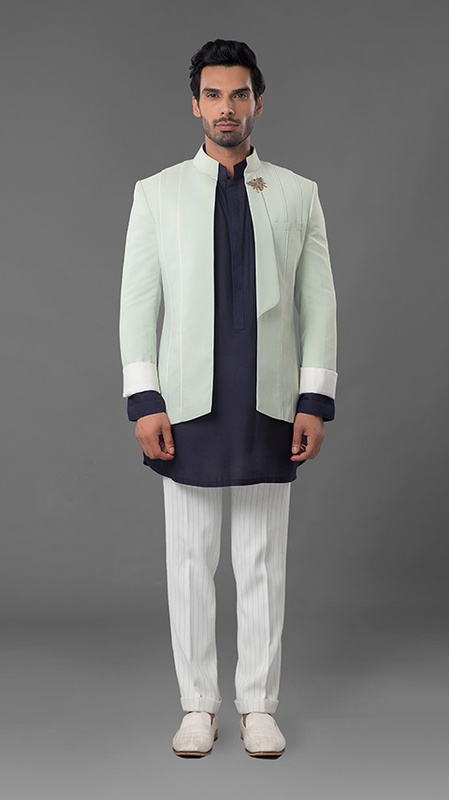 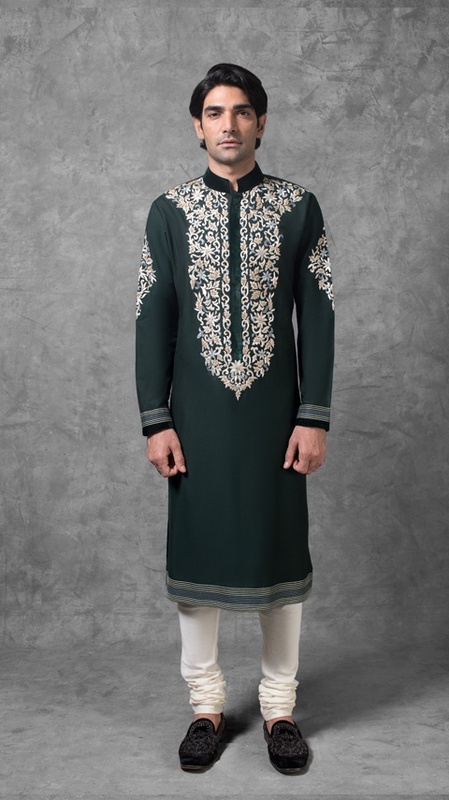 Midnight Black Shirt with a Contr..
Green velvet Sherwani with beadwo.. 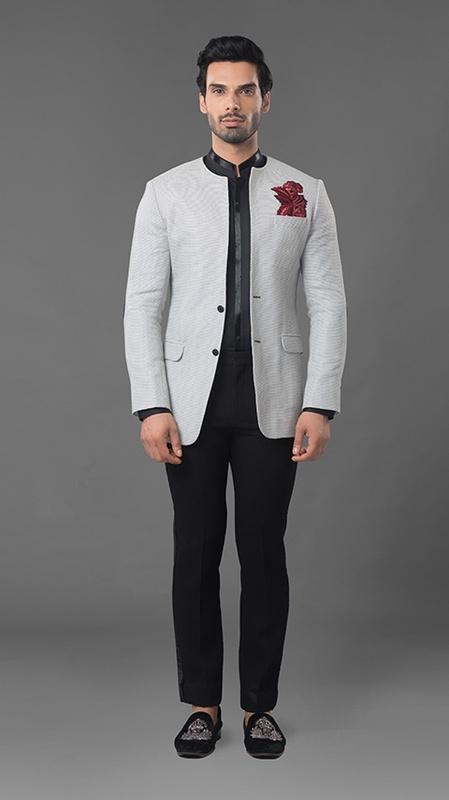 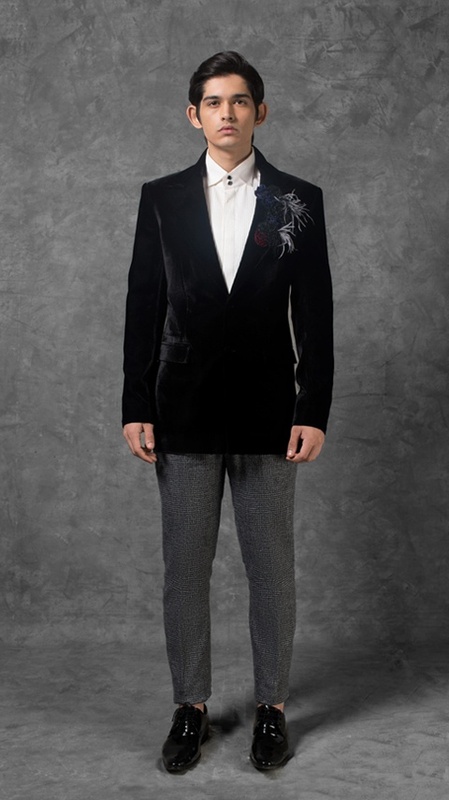 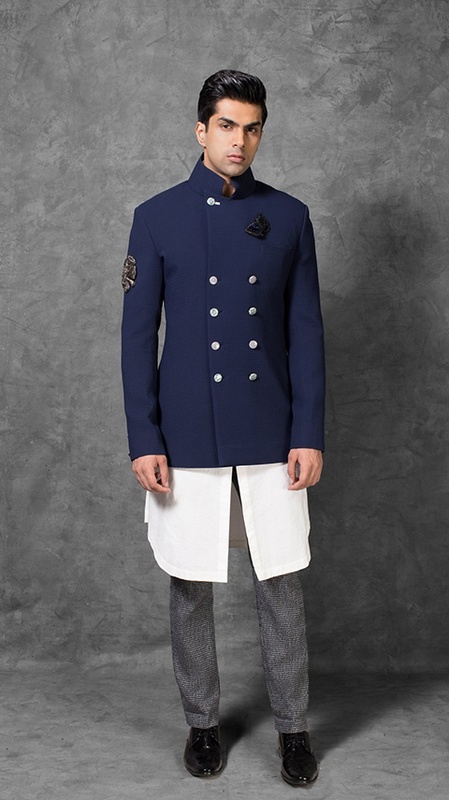 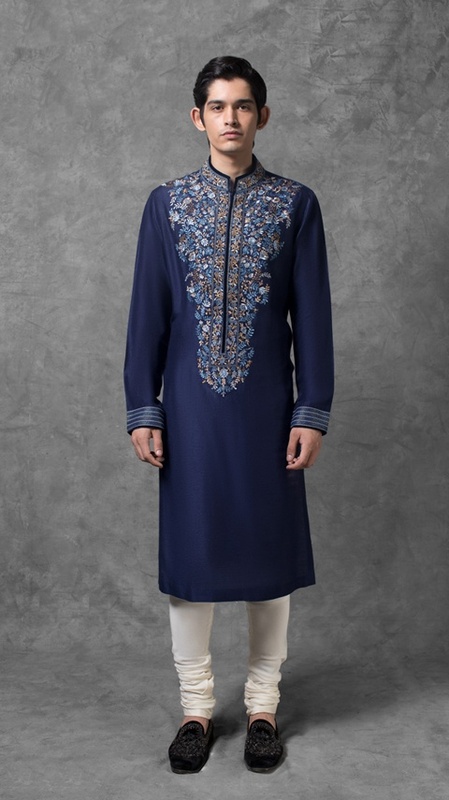 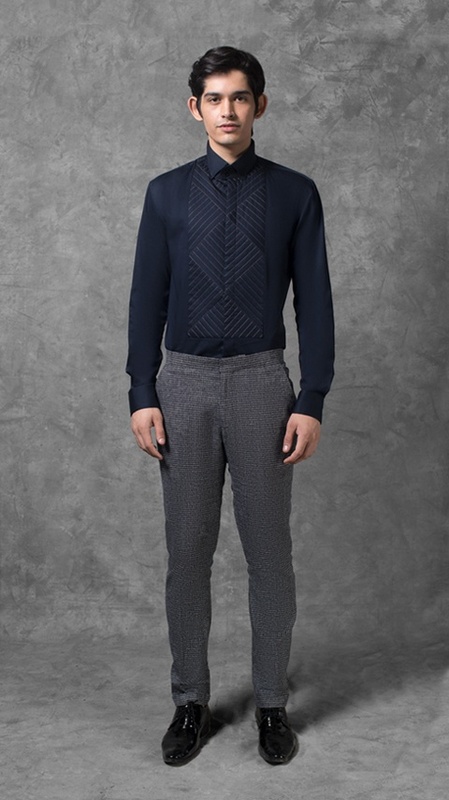 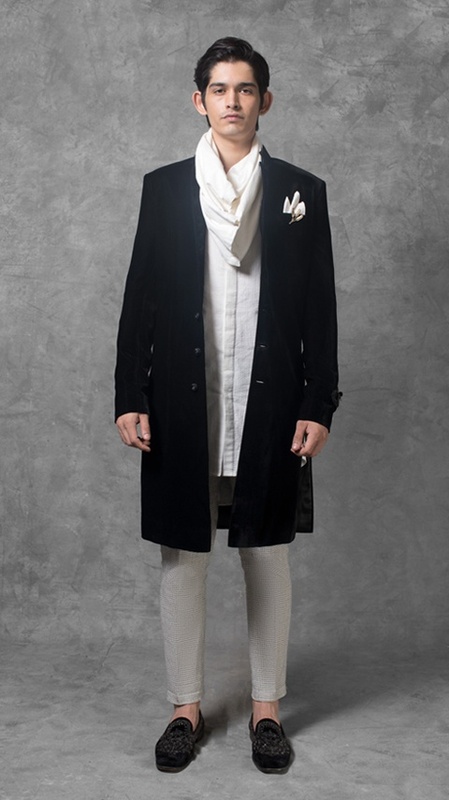 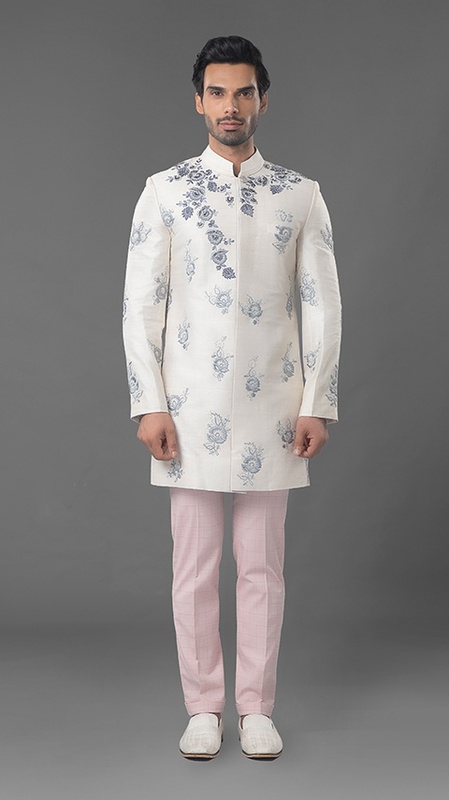 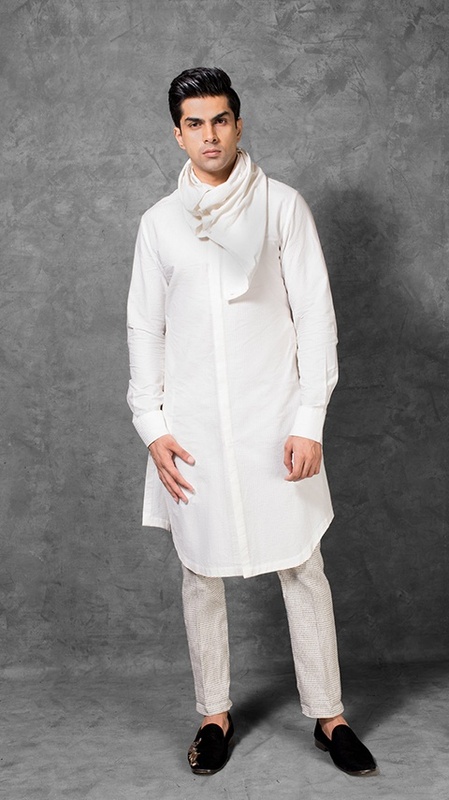 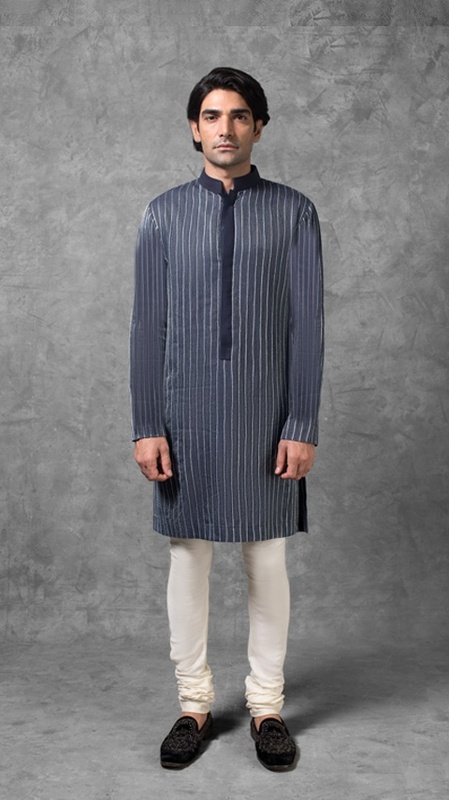 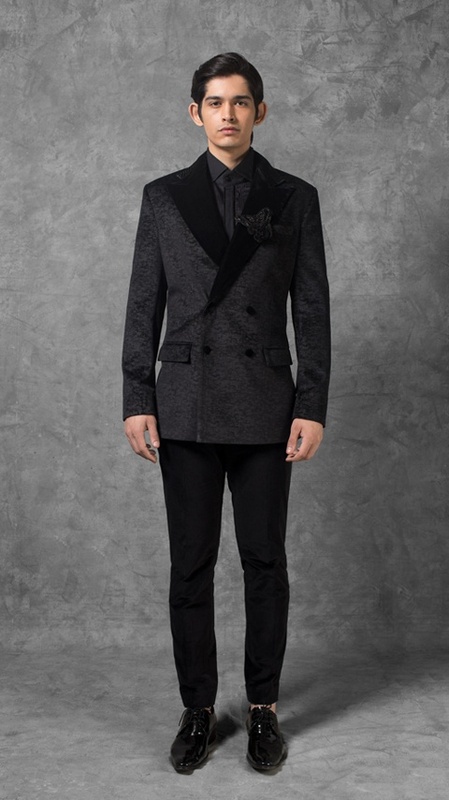 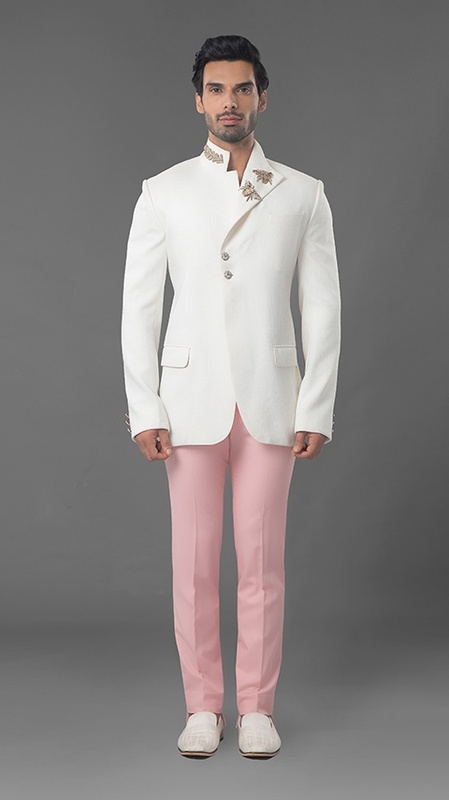 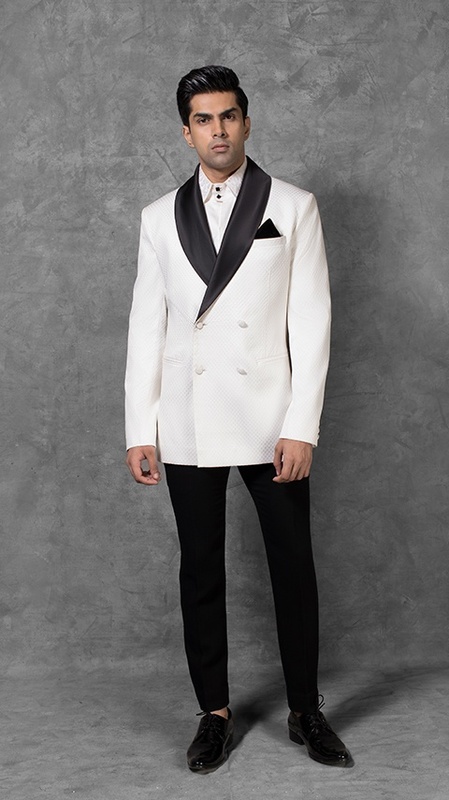 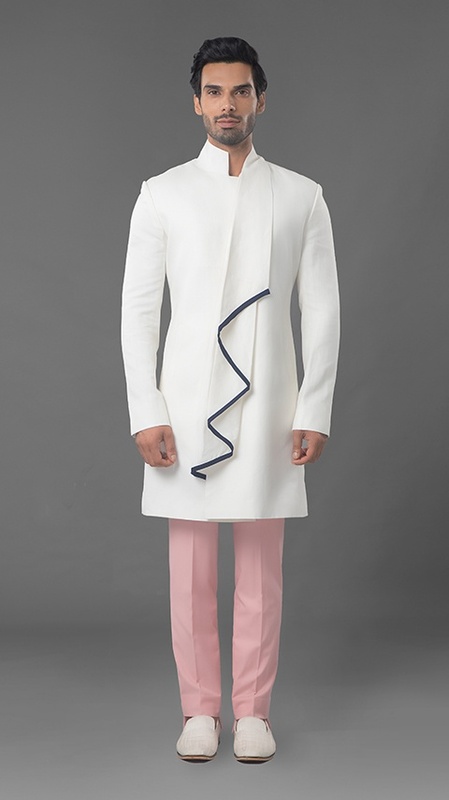 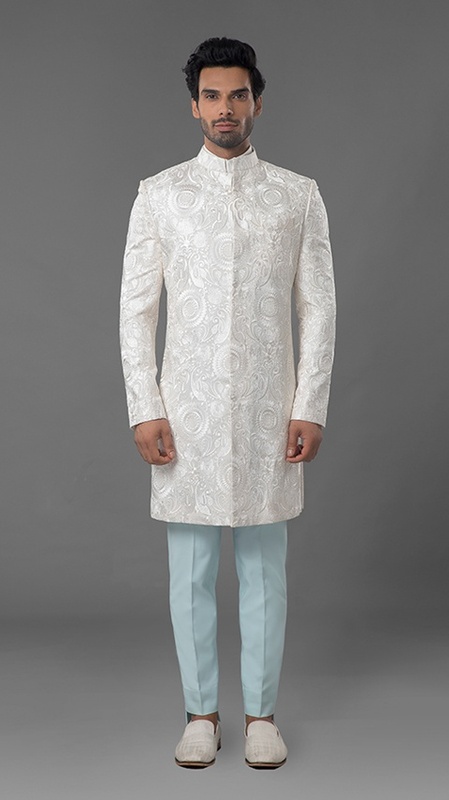 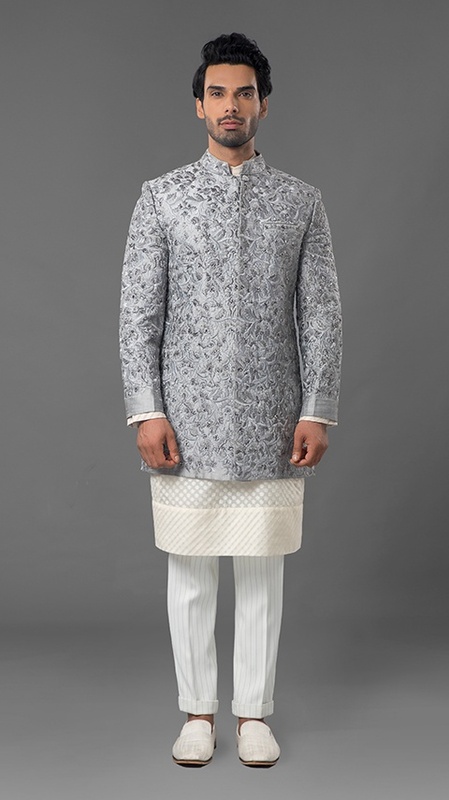 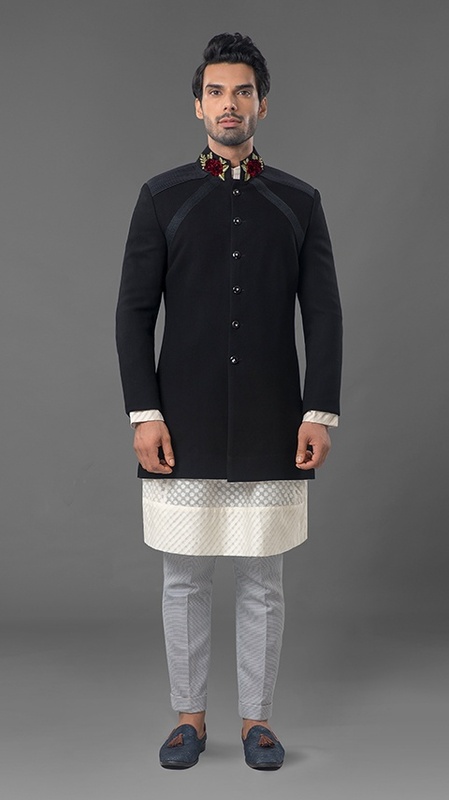 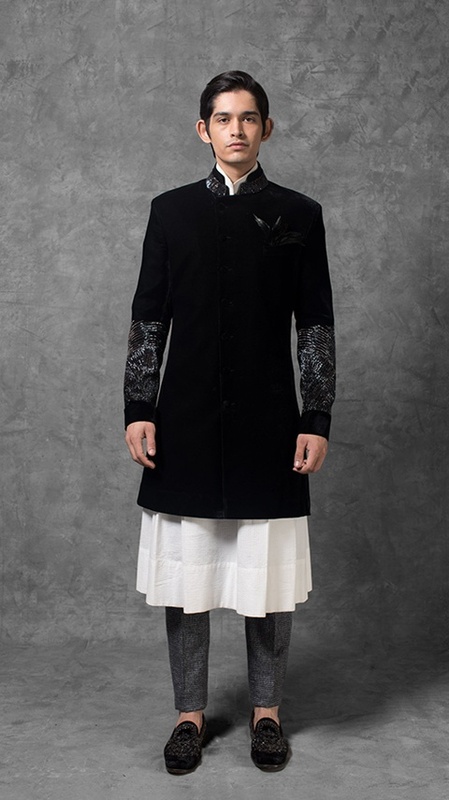 Midnight Black Sherwani with Velv..
Black Sherwani with Black Velvet ..
Ivory Sherwani with Powder Blue a..
Navy Blue Kurta with Off-White Fl..
Ivory Shirt with Maroon Velvet pa..
Velvet Teal Suit with Printed Shi..
Textured White Tuxedo with Satin ..
Black-Grey Textured Jacket with F..
Teal Velvet Sherwani with Hand em..
Metal Black Kurta with Floral Kas..
Black Jacket with Checkered Linin.. 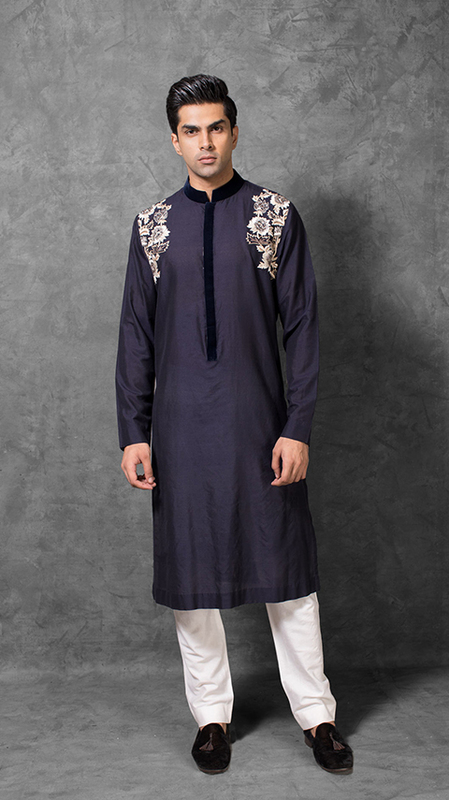 Midnight Blue Kurta with Gold Sti.. 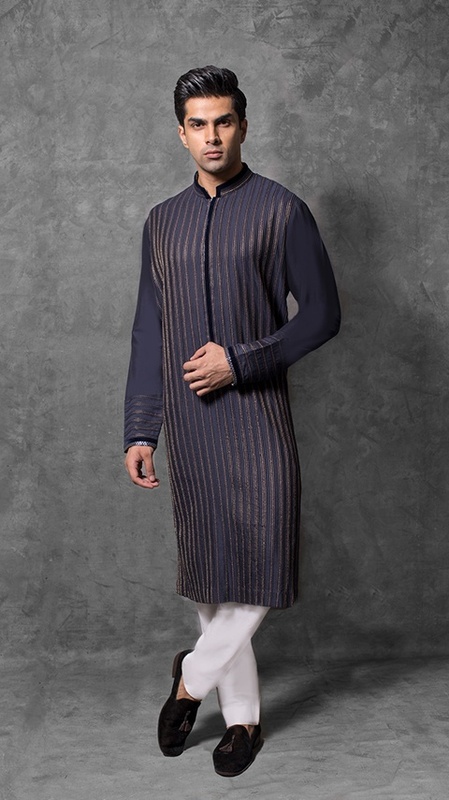 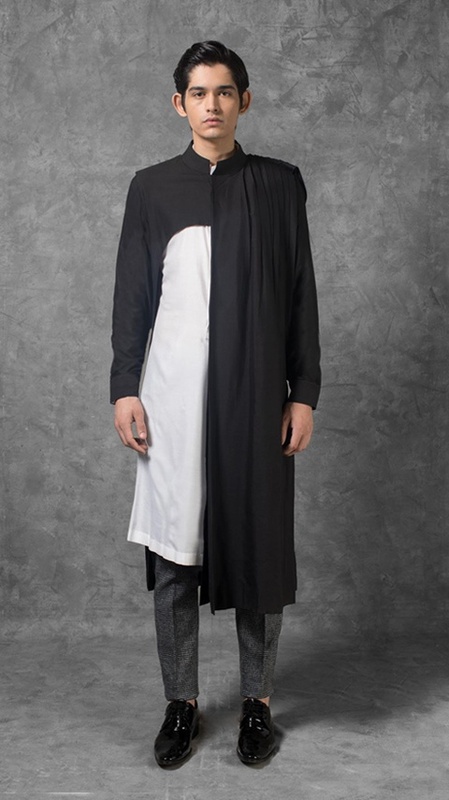 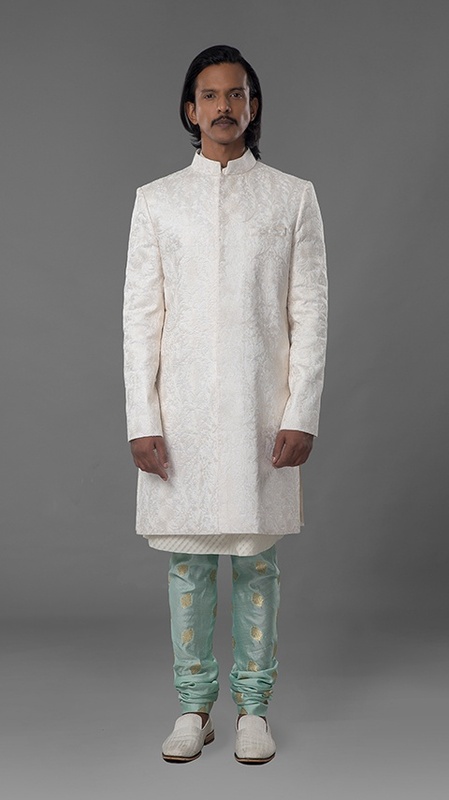 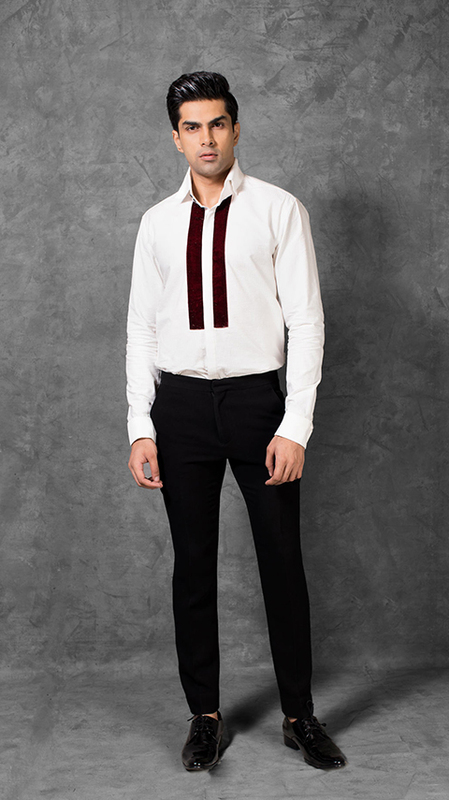 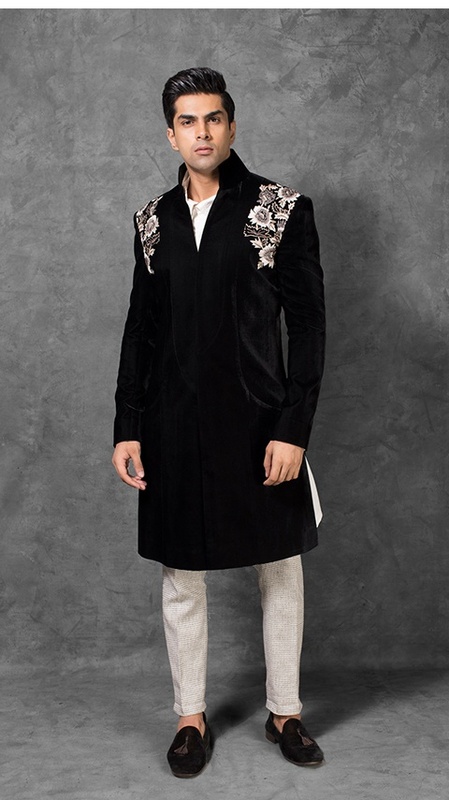 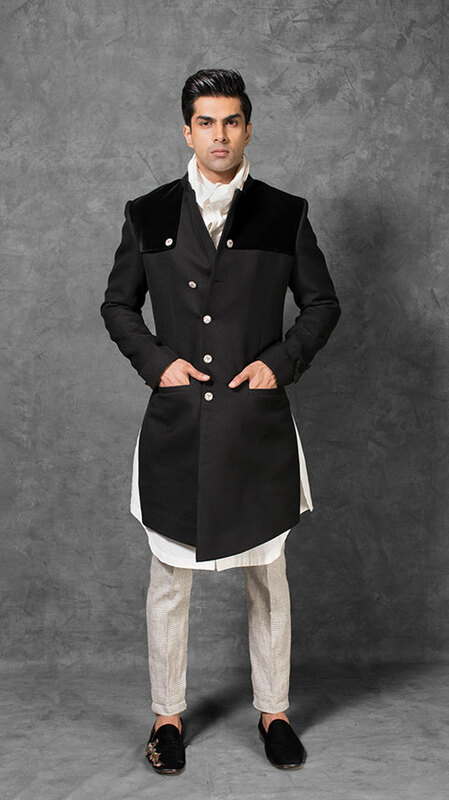 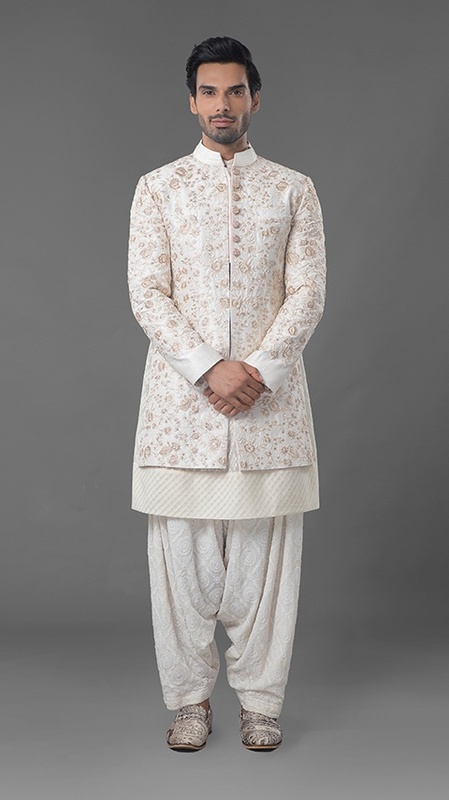 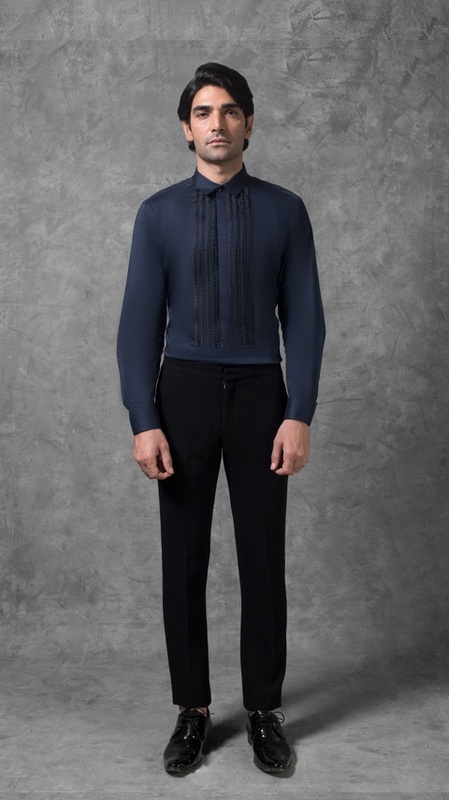 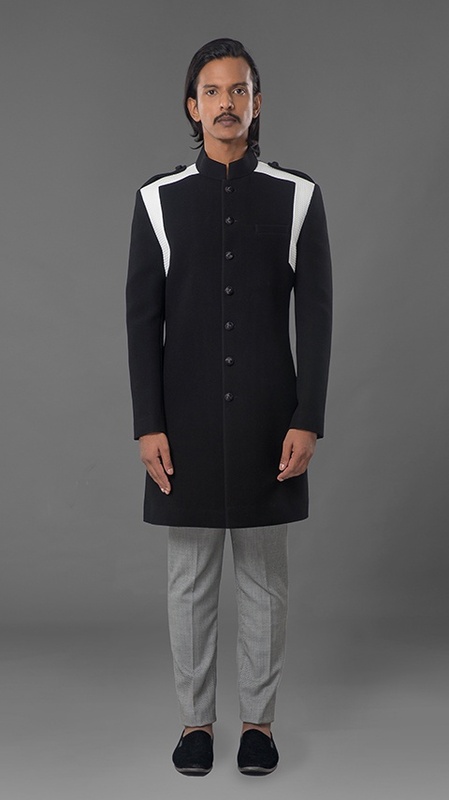 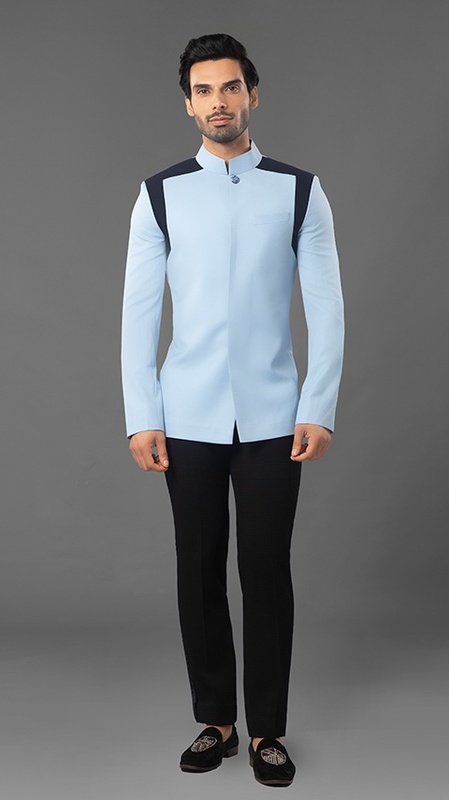 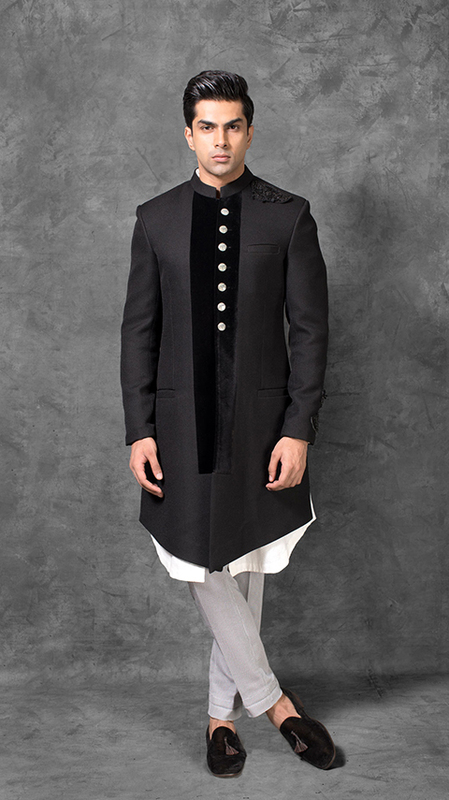 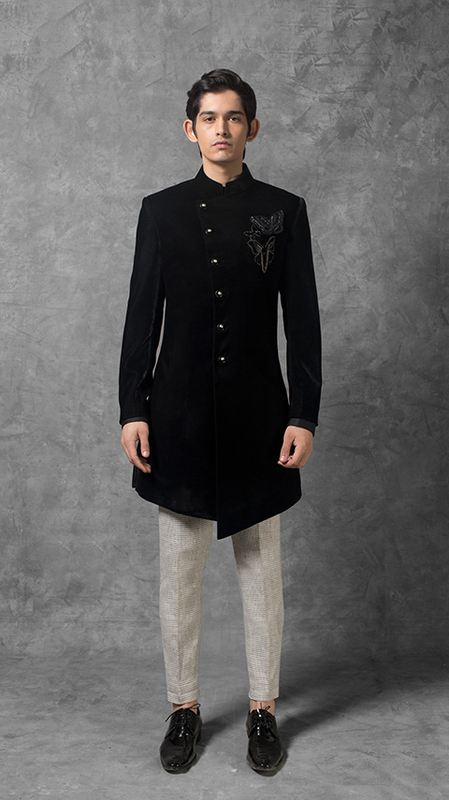 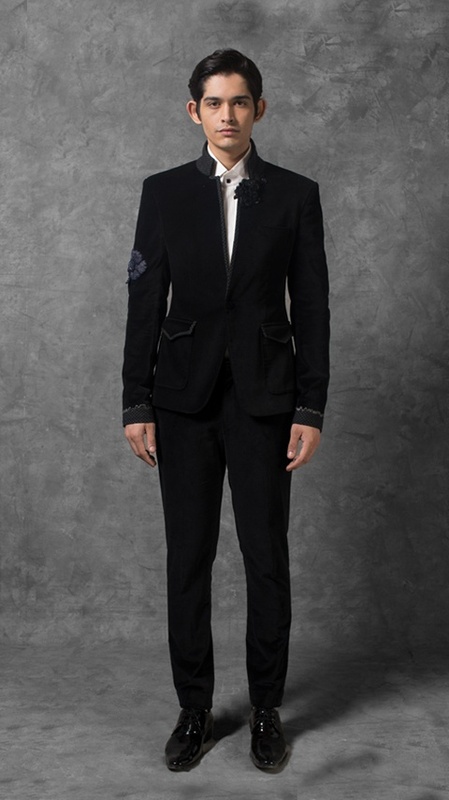 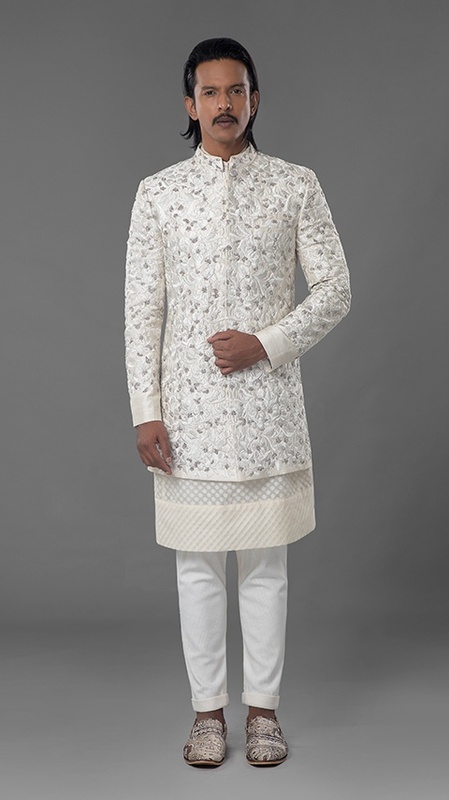 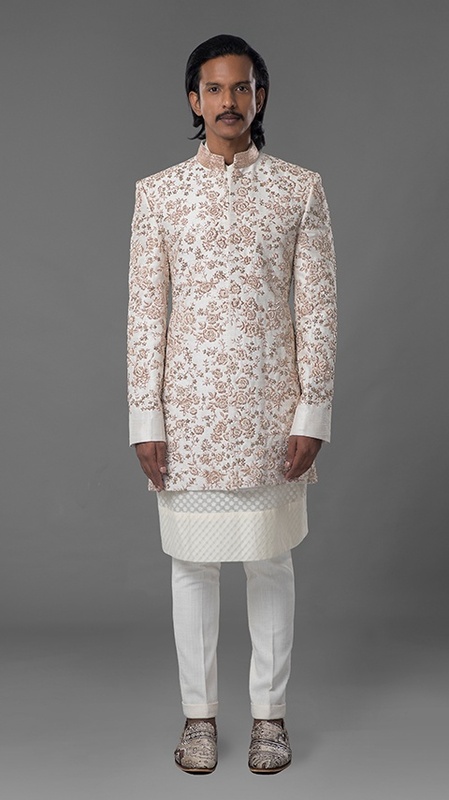 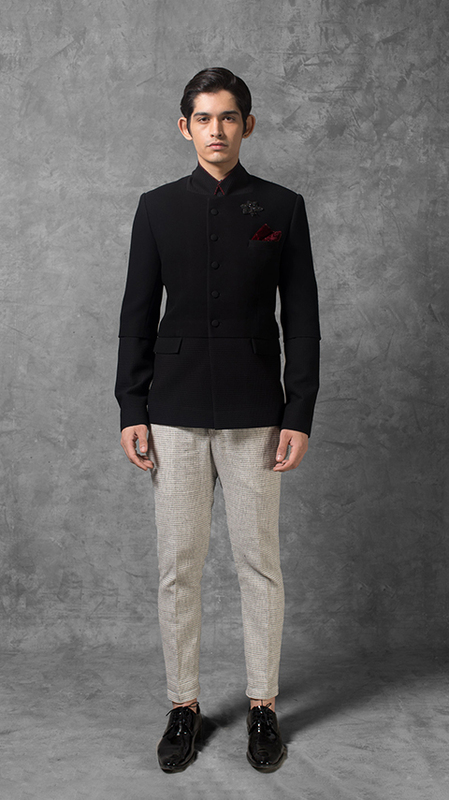 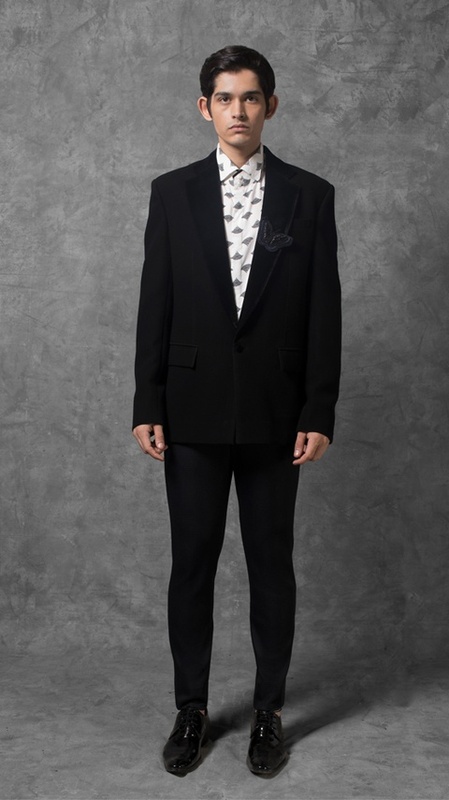 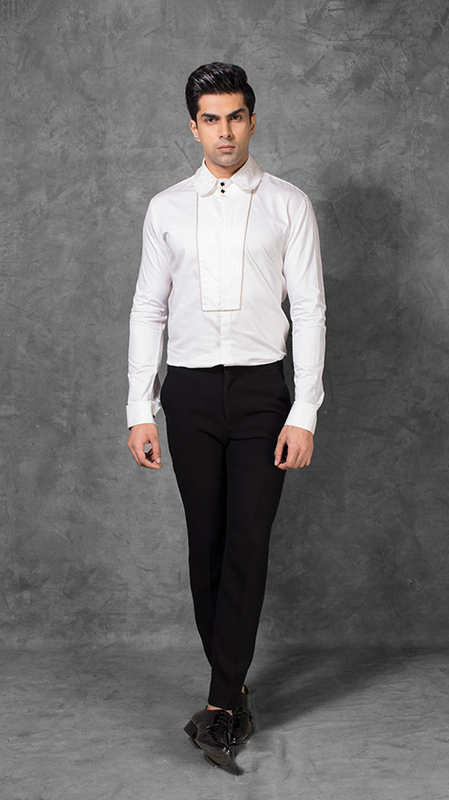 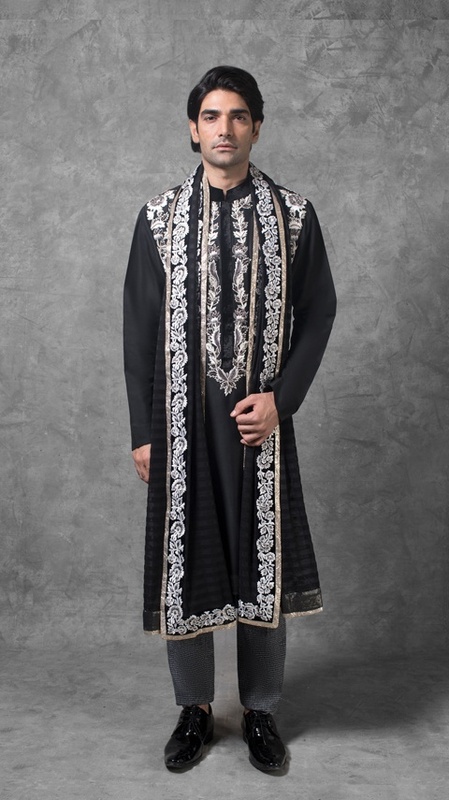 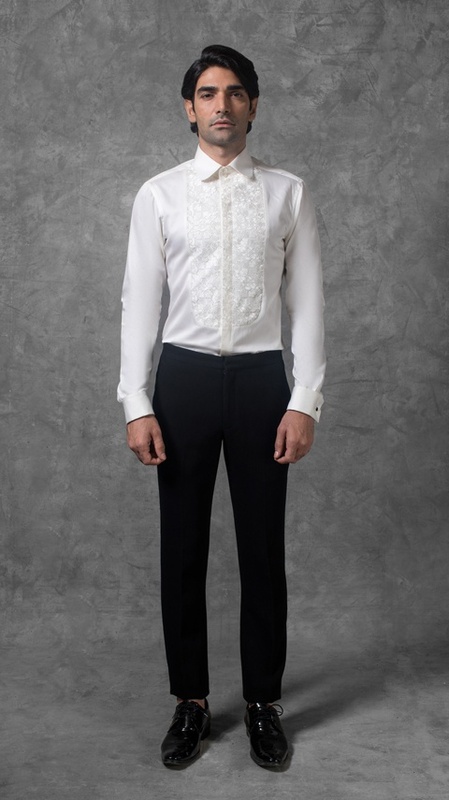 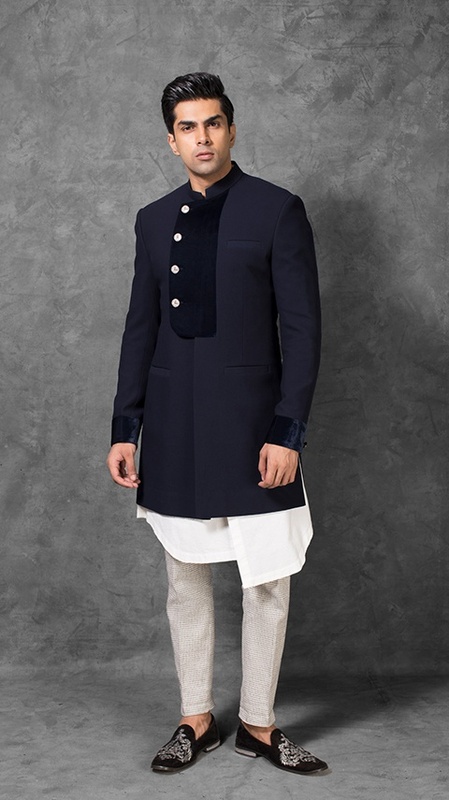 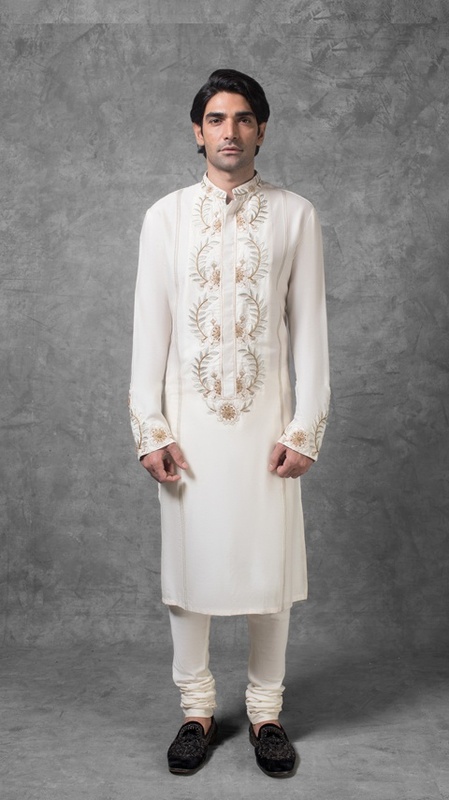 Midnight Black Velvet Sherwani wi..
Velvet Sherwani with Porcelain Wh..